The FLIR GF343 also visualizes hydrogen gas leaks in real-time through the use of a safe CO2 tracer gas to localize leaks and verify reliable repairs. By quickly discovering CO2 losses in a variety of industrial manufacturing, transportation, and storage uses, this camera can simultaneously decrease production downtime, save money and improve operations safety and environment protection. 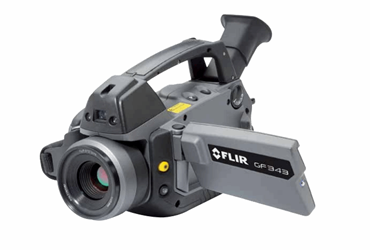 For more information on the FLIR GF343 infrared camera, download the available datasheet.